Sierra Web Solutions, LLC is not just a design company. Once your website is up and running on the Internet we can be your go-to firm for website maintenance and upkeep. 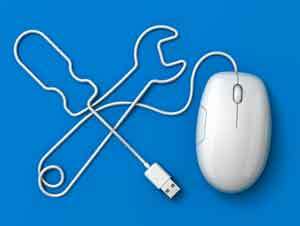 Website Maintenance is a "Must-Have." Software that is used to develop your website will evolve in the same way that your business evolves. Programs change often, sometimes monthly, to meet the demands of the users or to thwart the efforts of the hackers. Our website maintenance program will make sure that your website is always running on the latest versions of your software – and we will make sure that the software updates do not render your site inaccessible before we install them. If you have a business that benefits from frequent changes to your website we can make those additions or deletions for you, saving you the time and effort. Whether it involves publishing articles, product changes or design tweaks we have a program that will fit all of your needs.